Funeral services for Mrs. Joyce Stone Northern will be 1:00 P.M. Friday, February 23, 2018, at Ligon & Bobo Funeral Home with Bro. Dave Shelley officiating. Interment will follow at Wilson County Memorial Gardens. Visitation Thursday 4 – 8PM and after 11 AM Friday at Ligon & Bobo. Mrs. Northern, age 85 of Lebanon passed away Wednesday, February 21, 2018, at Southern Manor Assisted Living. 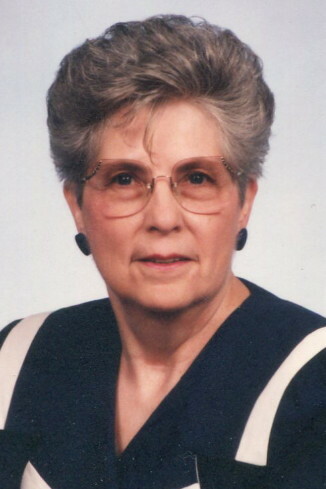 Born November 16, 1932, in Smith County, she is the daughter of the late Isham Cowan Stone and Ada Vetress Nixon Stone. She retired from the Southern Baptist Convention where she worked as an executive secretary. She was a member of Immanuel Baptist Church. In addition to her parents, she was preceded in death by her husband of sixty six years, E. H. Northern on September 6, 2016; sister, Carol Jennings; and a brother, Bobby Stone. She is survived by two children, Donnie (Nancy) Northern and Sue Ann (Phil) Bragg and; five grandchildren, Jennifer Bragg (Matthew) Pitt, Emily Bragg (Nick) Hardy, Melanie Northern, Joey (Lauren) Northern, and Lydia Northern (Taylor) Dudney; two great grandchildren, Hadley & Lyla Northern, three brothers, Julian (Lou) Stone, Paul (Shirley) Stone, and Billy (Sonja) Stone; and sister in law, Mary Ann Stone. Honorary pallbearers: Pat Fossler’s Sunday School Class. Family will serve as active pallbearers. The family would like to extend a special thanks to the entire staff of Southern Manor Assisted Living for their loving care. Memorials may be made to the Gideons or to the Tennessee Baptist Children’s Home. My sincerest condolences to the family. It is obvious from the kind expressions that your loved one will be sorely missed. I find comfort from the Bible’s message that death was not God’s original purpose for mankind and his purpose has not changed. Also comforting is the Bible’s promise that soon the overwhelming grief and sadness we experience when our loved ones die will be a thing of the past when the last enemy, death, is done away with. (1 Corinthians 15:26). May Jehovah God strengthen your family during this most difficult time. Sue Ann, I am so sorry for the loss of your mother. You and your family are in my prayers. Sue Ann I am so sorry for the loss of your precious mom. I just saw her obit as I was looking at Bro. Bobby Evan’s obit. I know the pain of the loss of a mother. It leaves a void no one can fill. God bless you and your family. Kris Clower Johns.